Spanish stoves with distinctiveness, flair and passion. 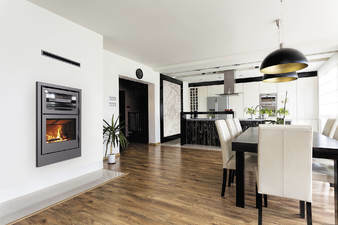 Established Spanish stove manufacturer Carbel started out making cooking ranges and ovens back in 1957 and then branched out into woodburning stoves and inserts. Like Firepower Carbel are a family business. They run their own in-house testing to make sure that the stoves burn as the designer intended. For me the headline models are the great looking, 3 sided, RA-85 Plus and the Atlas cookstove with top oven. 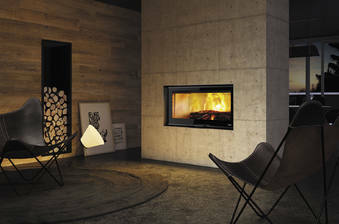 The Carbel RA-85 Plus is a stunning 3 sided stove, giving a great view of the flames. 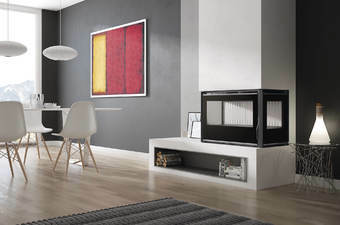 The confident high contrast black frame really make this a stand-out stove. The Carbel A-85 Plus stove is a 3-sided insert stove giving a generous view of the flames. Cook and warm yourself by a Carbel Atlas, a wood cook stove with an integrated top oven. The Carbel Atlas insert is a great addition to a kitchen providing a wood heated oven and of course warmth and cosiness. Built-in electric ovens are often found in modern kitchens, why not be more ambitious and incorporate a wood powered oven? Like the freestanding version the Carbel Atlas insert is EcoDesign Ready and highly efficient. 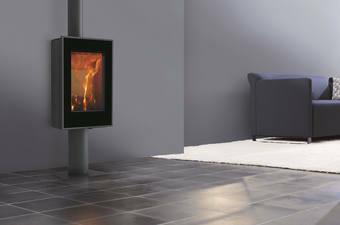 A tall portrait stove, the Carbel Vision gives you a great view of the full natural height of the flames from your logs. 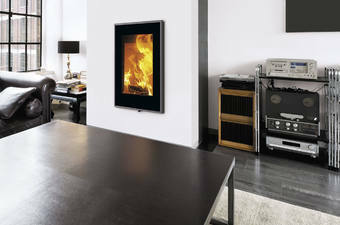 The Carbel Vision is a tall insert stove giving a picture of the full height flames. 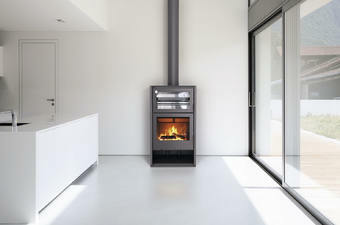 The Carbel A-70 Plus insert stove is slightly narrower than the A-85 Plus, but still has the same 3 and 2-sided options. 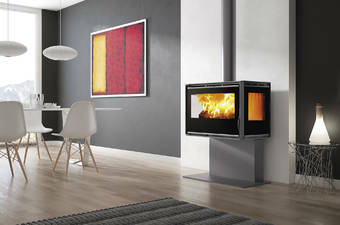 The Carbel G100 is a large woodburning insert stove with up and down guillotine door.